In February we spent typical long weekend in Las Vegas. Even if you don’t gamble this is a great destination for a long weekend. In our case we arrived on Friday and flew home on Tuesday. We stayed at the Wyndham Grand Desert (a timeshare we have a stake in, but that is a story for another time and another day). We arrived Friday afternoon and immediately drove over to Trader Joes to buy groceries. 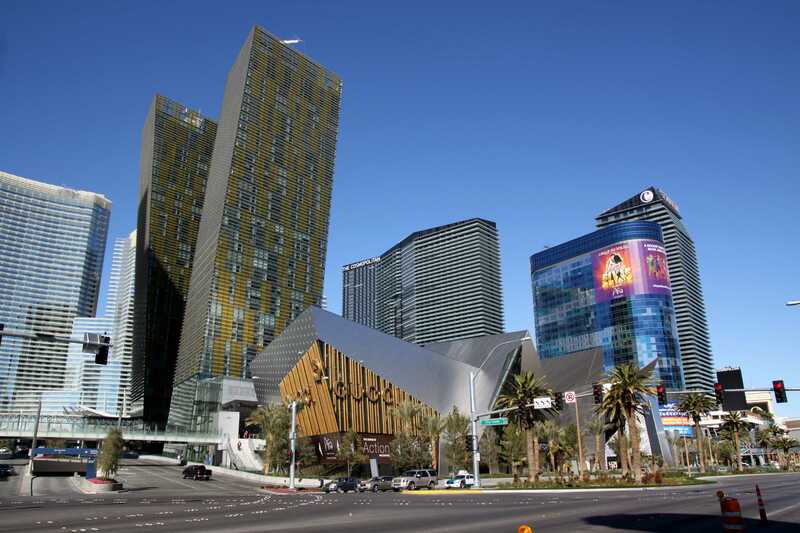 Next we checked into the Wyndham and went for a walk along the strip. Las Vegas is worth a try just to take in the architecture. We dined Friday night at the Haufbra House which is not too far off the strip and for Las Vegas is a bargain. As an extra attraction the night we were there the teams from the U. S. Collegiate Rugby Playoffs were there. Those boys know how to party! We did not get our fill of casinos on Friday so after relaxing in the morning we took another walking tour of the casinos. Las Vegas is also a great place to exercise. Saturday we dined at the Triple George’s Grill just off the Fremont Experience downtown. It is a steak and seafood place with a really, really cool hardwood bar. We highly recommend it. And it is quiet unlike a lot of the joints on the Strip. After our meal we walked (again) the Fremont Experience. If you have not been there in a few years it has completely changed. 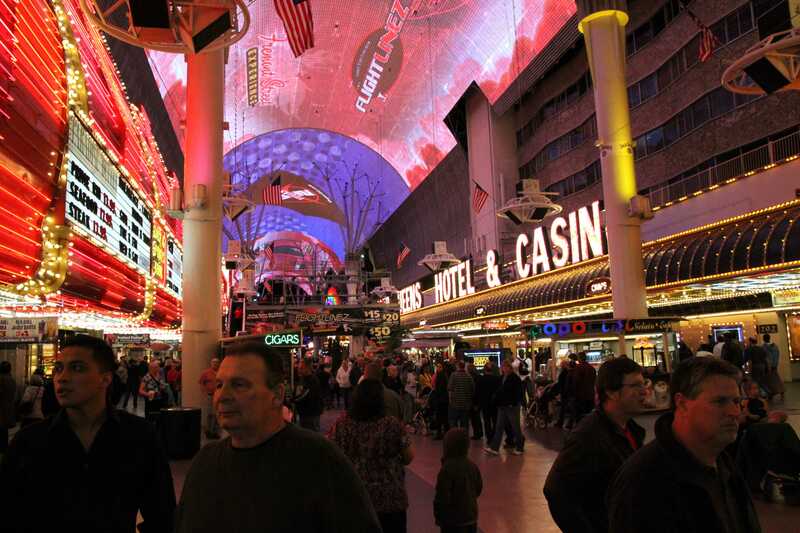 In the old days (2000) every hour you would pop out of the casinos for a light show. Now the main attraction is the bands (3 along the strip – they are good and they are free), the lights which are on, an the eclectic crowds. You will not find a more diverse crowd anywhere. 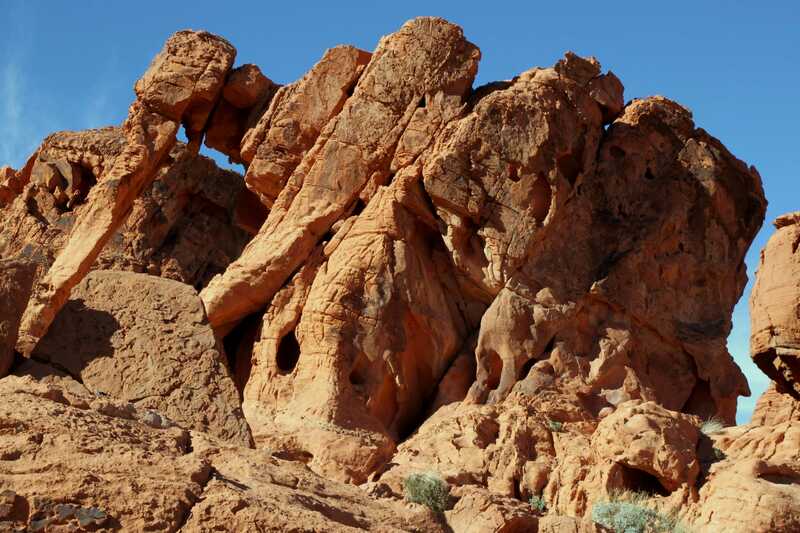 On Sunday morning we left town for a field trip to Valley of Fire State Park. The drive out is pleasant. It takes about an hour on the freeway North of town. As a sidelight North Las Vegas is not the best of places to live. At least from the freeway it seems to leave a lot to be desired. But I digress. The park is famous, at least in Nevada, for the limestone formations carved out by the endless winds in that part of the World. We drove home past Lake Mead which is at it’s lowest level in 50 years. I would skip this drive and go home the short route. Seeing the Lake that low is kind of scary. I imagine it is even scarier if you live in that area. Later on that evening we walked (again) the Mandalay Bay Casino. We ate dinner at Lupo’s, an Italian restaurant: another great place to eat by the way. Then we took in The Lion King. We bought discount tickets several weeks before we left Dallas for $80. The seats were great – in the 1st section. The show was el stupendo! I don’t really like musicals but I definitely enjoyed the Lion King and would watch it again in a New York Minute. Come Monday morning we exercised and then took another waking tour of casinos. Our third walking tour and we have hardly seen a fraction of them. We stopped for Happy Hour a a Mexican restaurant at Venetian. Chips and salsa was great and Negra Modelo was great. Monday was Valentine’s day so for dinner I had made reservations at the Voodoo Lounge at the Rio. The Rio is just west of the strip and the Voodoo Lounge is on the top floor (51st I think) so you have a spectacular view of the Strip at night. The food was scrumptious also. Great place to eat but not cheap. Thinking back my favorite was the Valley of Fire State Park closely followed by Sunday night at the Mandalay Bay, ate at a good resturant (Lupos), and great entertainment – Lion King – for me it went really fast – most musicals drag for me. This entry was posted on Thursday, March 31st, 2011 at 2:03 am and is filed under Uncategorized. You can follow any responses to this entry through the RSS 2.0 feed. You can leave a response, or trackback from your own site.